If you’ve been through a divorce, you know how much work and effort goes into creating the Final Decree of Divorce. From the moment the Petition for Divorce is filed until the final moment where you go before the judge to finalize your divorce, the process requires patience and a strong will, not to mention a lot of time and stress. Unfortunately, there is no guarantee that the final order will result in everything you had hoped it would. The majority of Texas divorces end without ever having a trial in front of a judge, but regardless of how it ends, the end result are final orders that encapsulate everything that you either agreed to or the judge ordered in your case. These orders manage everything from your children, to your finances, retirement funds, marital funds, and everything else you can imagine. It is detailed for a reason. The courts don’t want there to be any question about everyone’s responsibilities after the Decree has been finalized. Still, no matter how detailed the orders may be, times change. Your situation may change, your spouse may need to make changes, or changes may need to be made for the children. 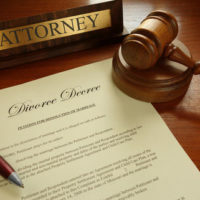 In some situations, that may not require your Divorce Decree to be modified, but some of those changes will require a trip back to your attorney and to court. Substantial Changes in Circumstances – The law in Texas doesn’t favor modifications unless there has been a substantial change in circumstances. These changes must have been experienced since the Divorce Decree was finalized. Modifying an Order for Spousal Maintenance – This is sometimes referred to as alimony, and in some situations the order may be able to be modified. If you can prove that your spouse is cohabiting with another adult or that they are having a sexual relationship, you may be able to modify the maintenance order. Modifying a Child Support Order – This order may be modified if the circumstances surrounding one of the parties in the divorce or the child have changed significantly. A significant change must mean that the child support order would change by either 20 percent or $100 from the original order. It can also be modified if it has been three years since it was created or modified. Child Custody Modifications – Custody doesn’t actually appear in the Texas Family Code, but instead is referred to as possession. You or your spouse may request a modification of child custody if the circumstances of either party to the divorce or the child has substantially and materially changed. When it comes to divorce matters and modifying a Decree of Divorce, it is imperative that you have experienced legal counsel on your side. Your future, as well as the future of your child can be at stake. The attorneys at Lindamood & Robinson, P.C. have decades of experience helping people make modifications to their divorce. Contact us today to schedule a consultation at one of their Houston area locations.